The National Hockey League is always fun come the start of the season in October and provides all of its fans a thrilling game every night. Like our other sports we have our star hockey handicappers spending their time to study what happens on the ice to ensure you a winning outcome. Our hockey handicappers are examining past games, going over statistics, watching the Vegas NHL lines, researching the starting goalies, looking at home ice and visiting team stats, and tons more to determine who is going to win and ensuring you the most consistent daily picks. 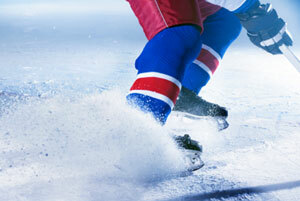 Hockey like all other sports is not easy and if we told you we would give you a winning pick every single game we would be lying but with hard work and persistence we guarantee you a winning outcome long term.